You can enjoy a relaxing sleep in the peaceful, idyllic surroundings of our country hotel. Take a look out of your room window and enjoy uninterrupted views of mountains and the wonderful, expansive countryside. All prices are inclusive and include overnight accommodation and breakfast. TIP: Book directly with us by telephone or e-mail. Bookings made through HRS.com and Booking.com will attract higher prices! The Landgasthof Hölzle has 17 rooms with a total of 35 beds. 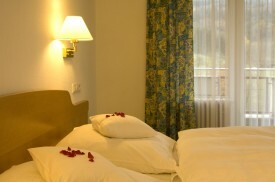 Guests can choose between single, double and triple rooms – either with or without balcony. 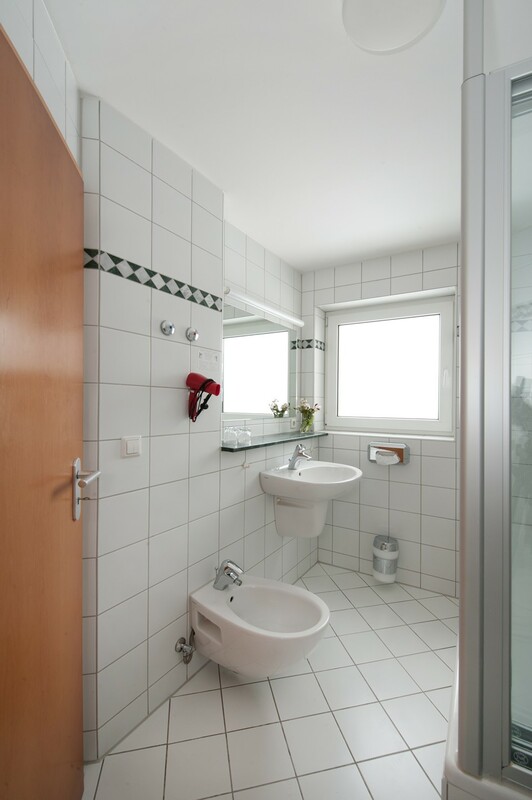 All rooms are equipped with bath tub or shower, some with bidet. 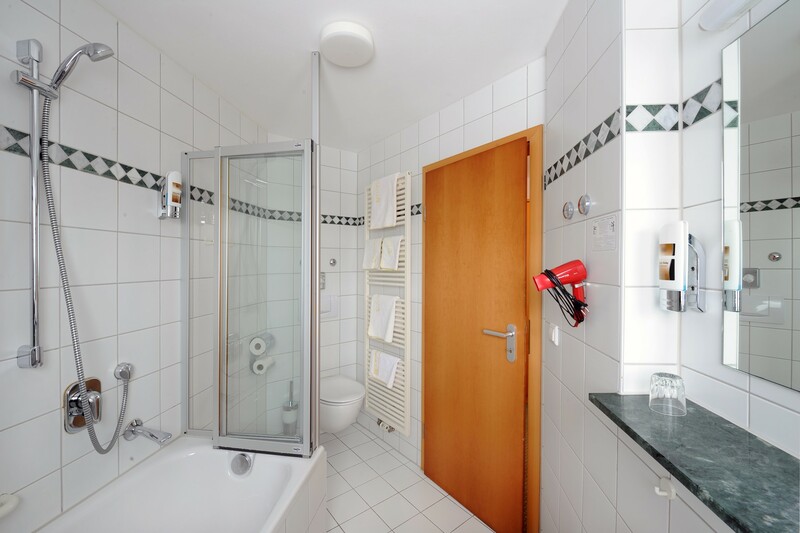 All rooms are non-smoking and have Wi-Fi internet connection, TV, radio and telephone. Guests with reduced mobility can stay in one of our barrier-free rooms which are accessible by elevator from our restaurant, underground car park and parking spaces. Dogs may accompany guests upon request – please remember to bring a basket or dog blanket for your pet to sleep on. We charge EUR 8.00 per day for pets. During the afternoon, we will spoil you with coffee, cake, ice-cream from our farm and delicious snacks.